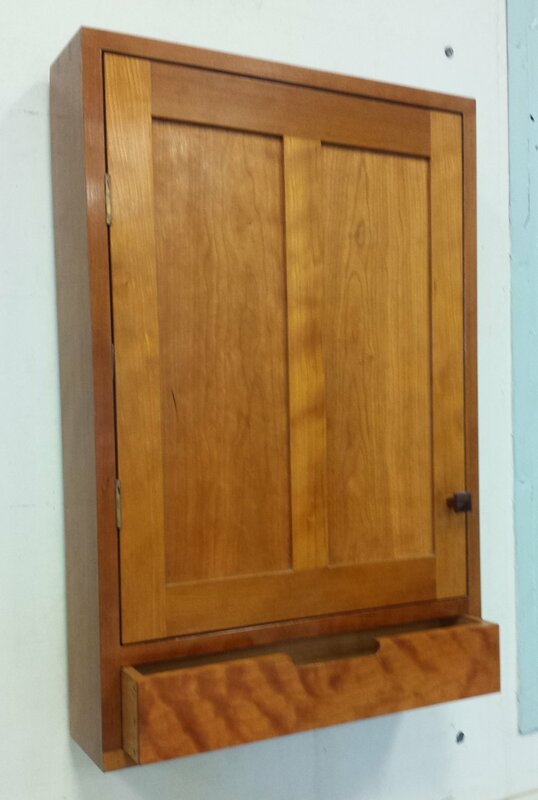 Take the next step in hand joinery and learn case construction while you build a simple but elegant shop cabinet. Six-day hand tool woodworking class designed by Jim Tolpin. This six-day course combines dovetail carcass construction, frame and panel door construction and an introduction to drawer making. 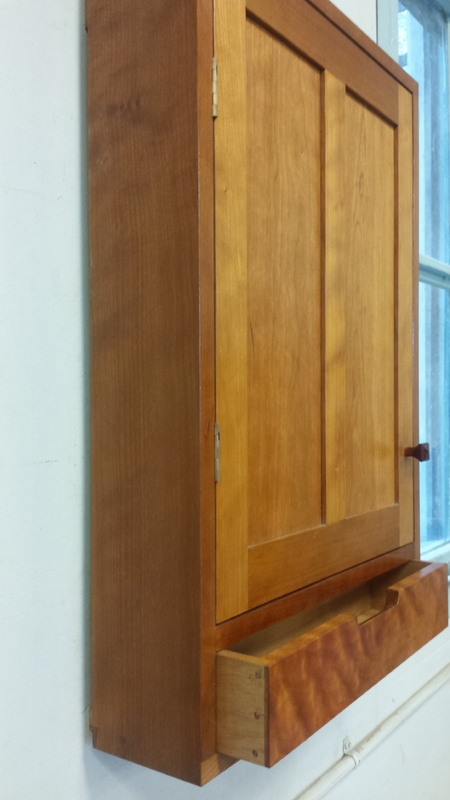 This class is intended for the hand tool woodworker who is ready to bring together dovetail and mortice and tenon joinery to create this handsome, traditionally-constructed cabinet. 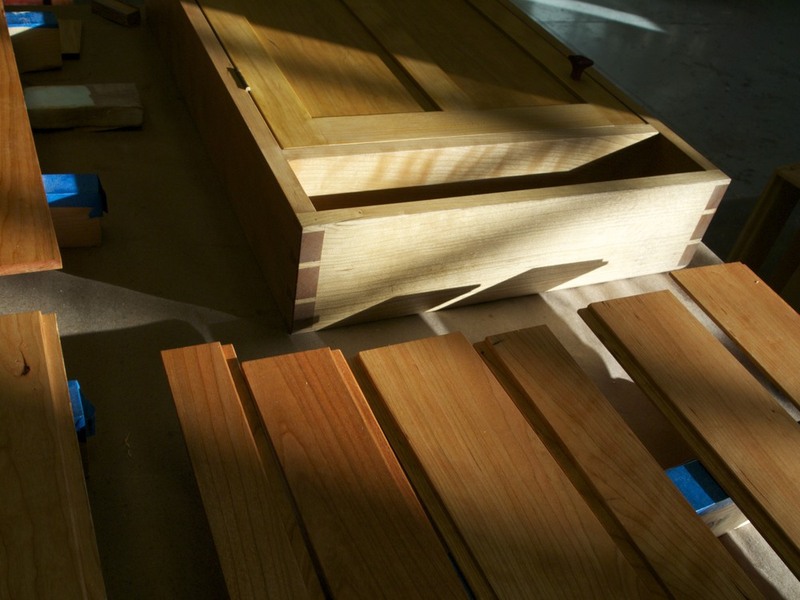 The course will be fast paced and it should NOT be the first time you've cut a dovetail or a mortice and tenon joint! We provide you a kit of pre-dimensioned stock so the class instruction will focus solely on joinery and construction techniques. This design is easily adaptable to be a medicine chest or curiosities cabinet. The cabinet project is designed to teach you to use a wide array of hand tool joinery techniques. We'll demonstrate rabbeting techniques but the carcass panels will be pre-rabbeted. Students should have experience with hand tools and some familiarity with hand tool joinery. You should have had instruction and / or experience in laying out and cutting dovetails or mortice and tenon joinery. We recommend the Hand Cut Dovetail and Hand Cut Mortise and Tenon weekend classes. The kit includes dimensioned parts, hinges, knob and door catch and all fasteners. Class runs from 9:00 am to 5:00 pm Monday through Saturday in Building #315. Taught by Matthew Straughn-Morse.